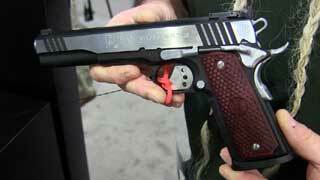 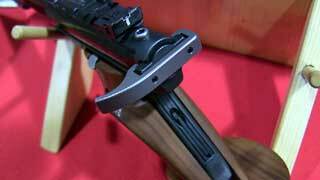 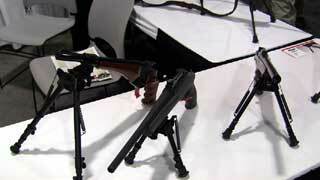 SHOT Show 2013 "Media Day at the Range"
Majestic Arms slide extension handle for Ruger Mark series 22 pistols. 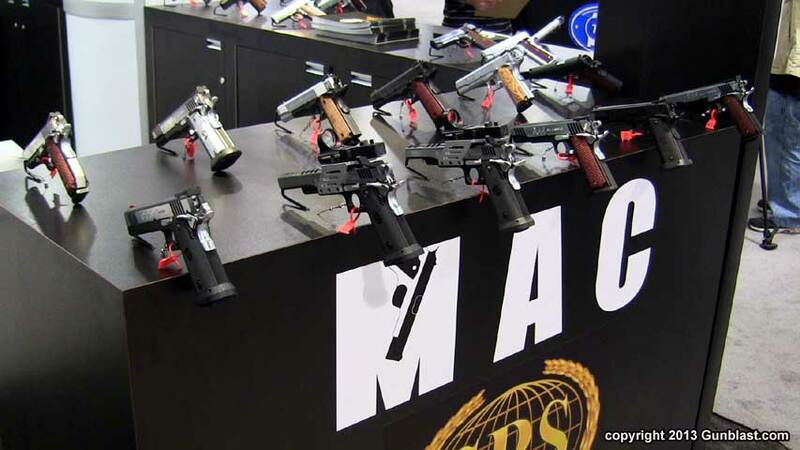 MAC pistols from Eagle Imports. 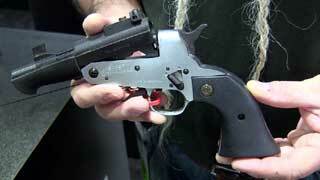 Comanche 45 Colt single-shot pistol. 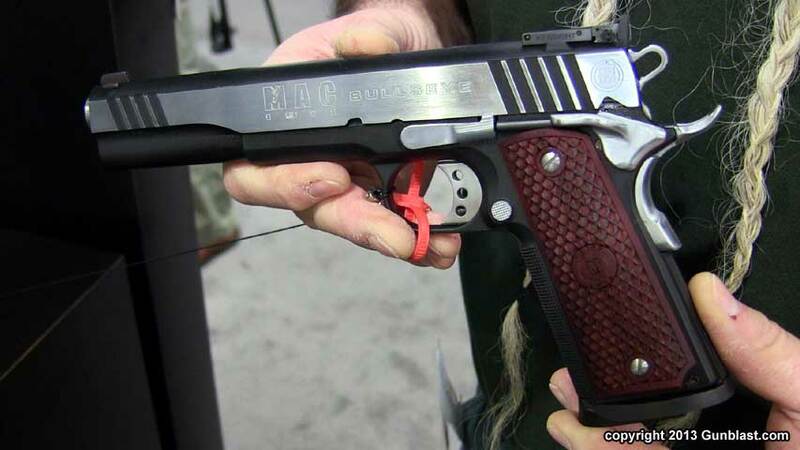 MAC Bullseye long-slide 45 pistol. 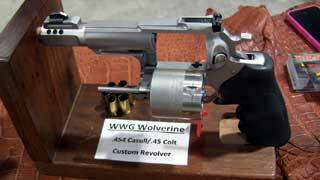 Wild West Guns "Wolverine" custom revolver in 45 Colt / 454 Casull. 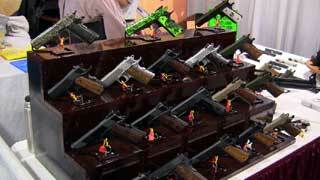 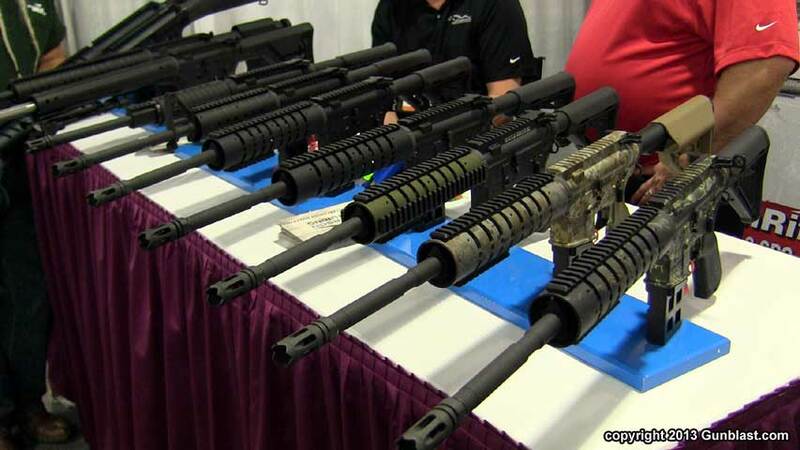 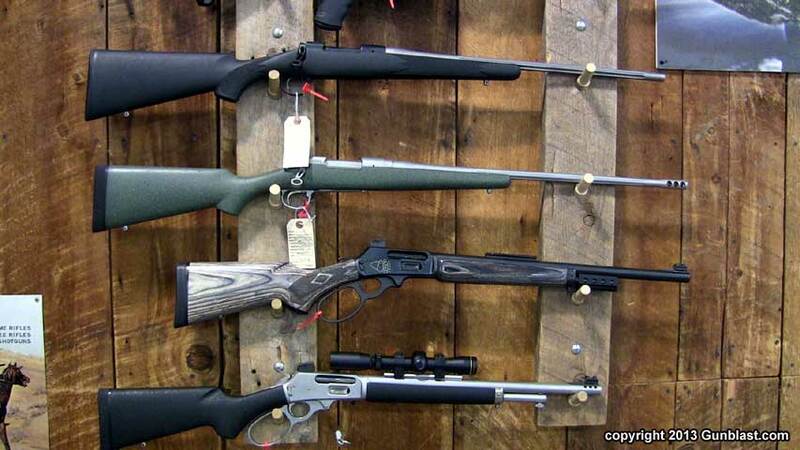 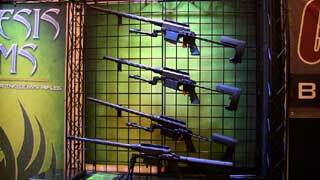 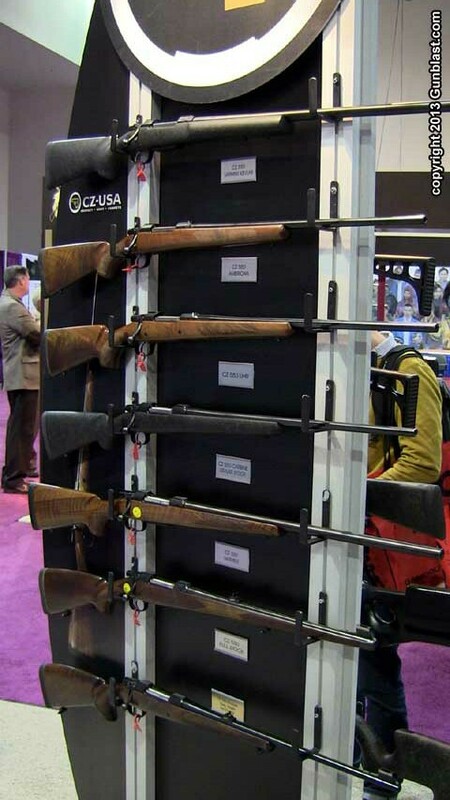 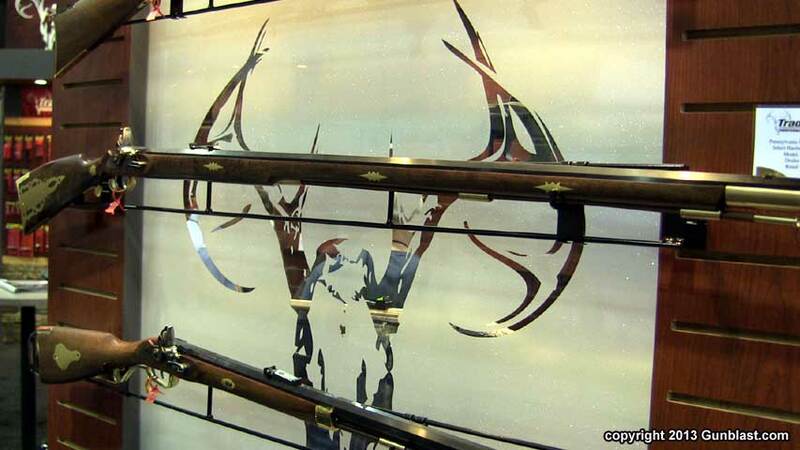 An array of rifles from Wild West Guns. 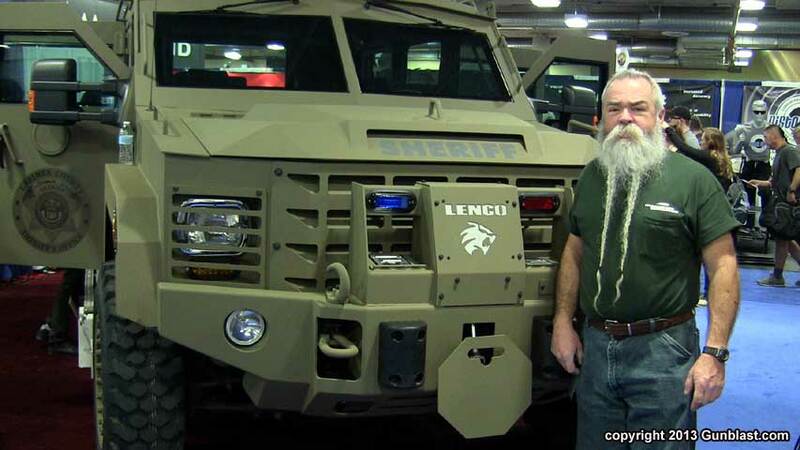 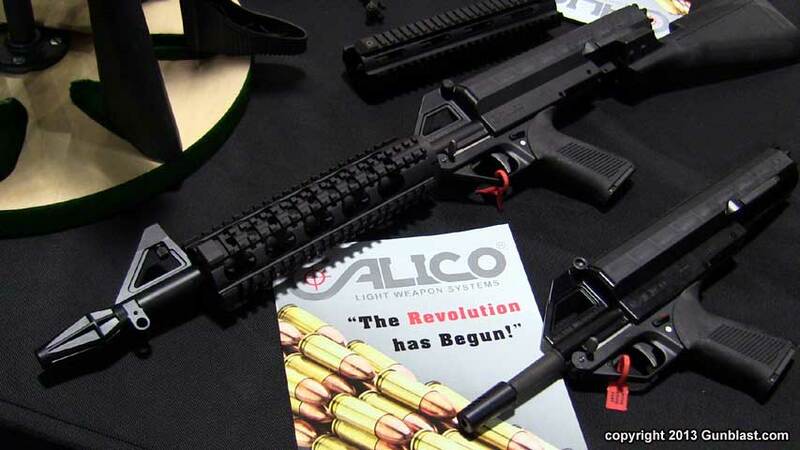 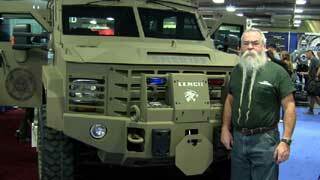 Calico Light Weapons Systems 22. 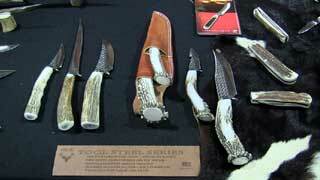 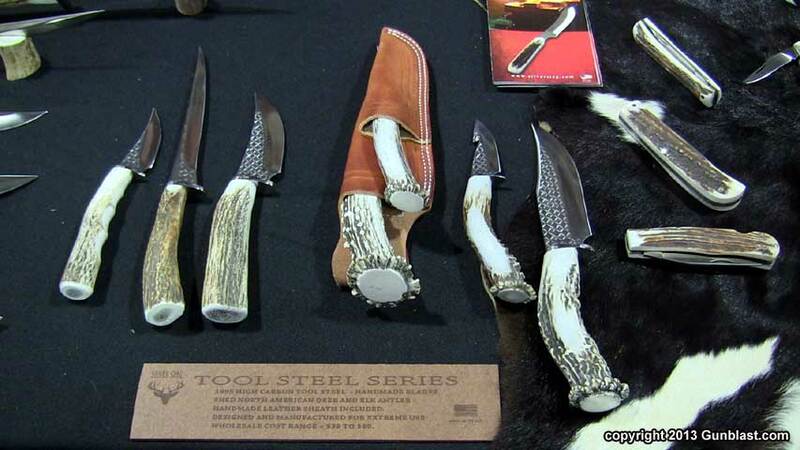 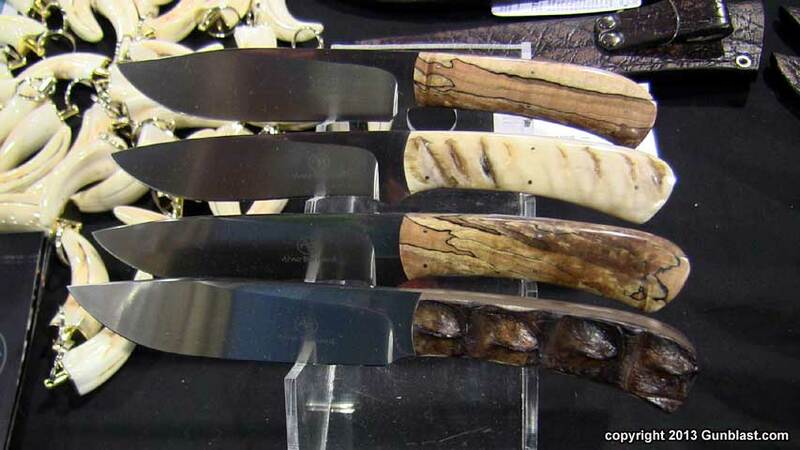 Silver Stag knives are hand-made in Washington state. 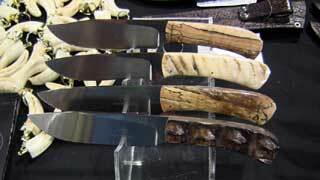 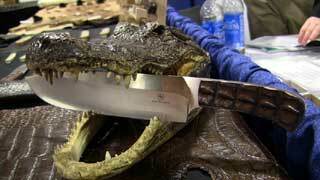 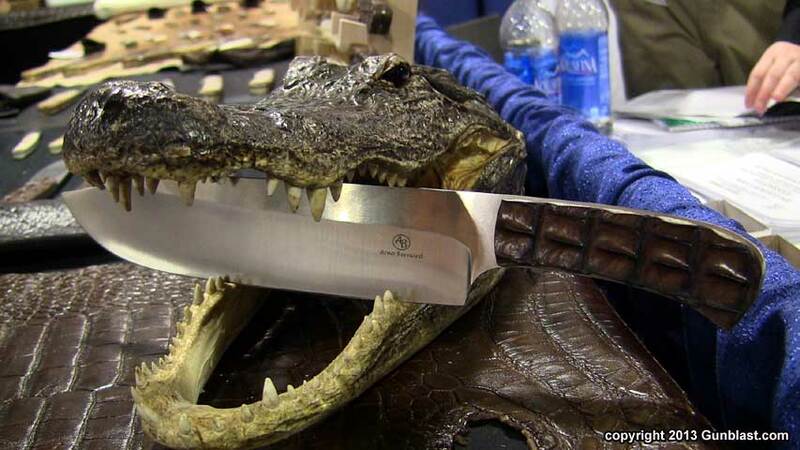 New for 2013 from Arno Bernard: crocodile skin handles. 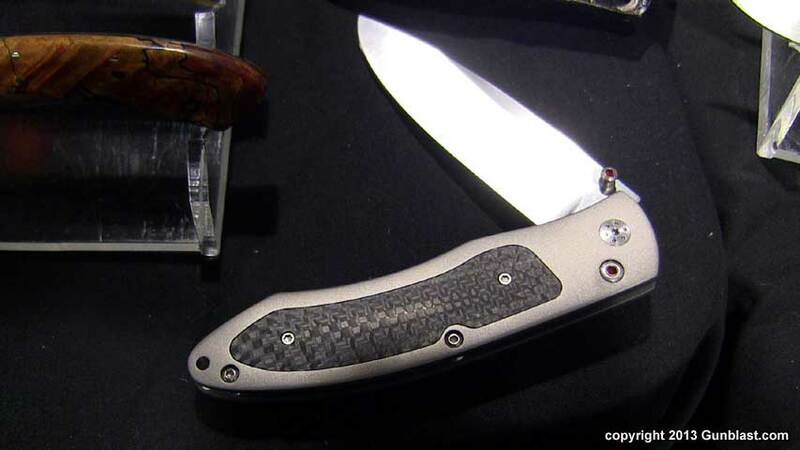 Also new from Arno Bernard is their line of folding knives. 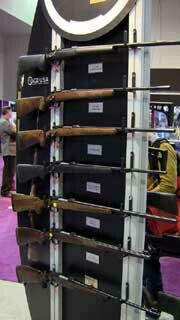 Ergo Grips' ErgoGraphic rail covers. 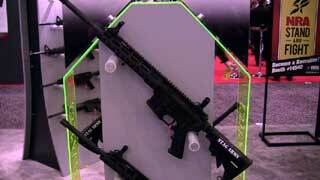 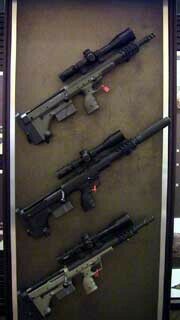 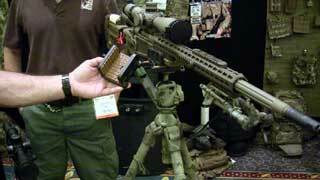 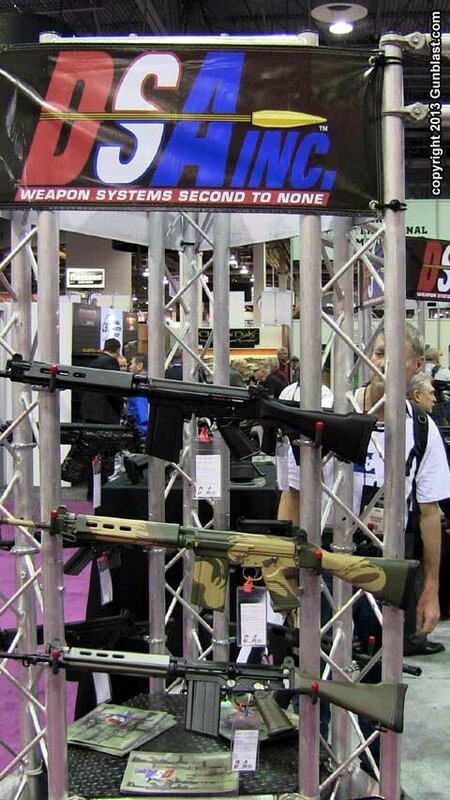 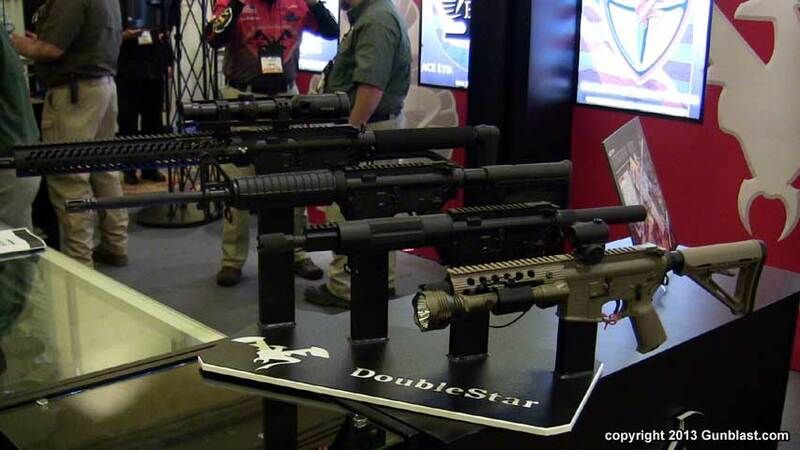 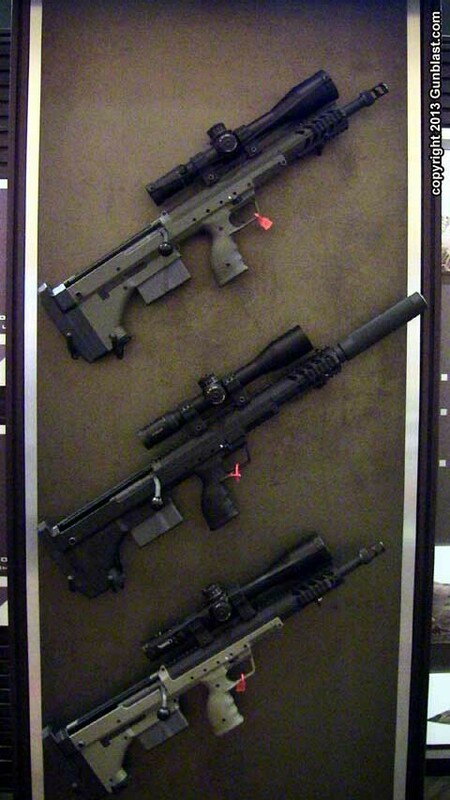 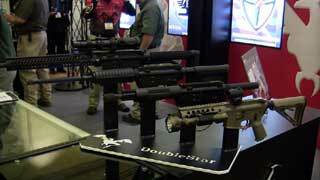 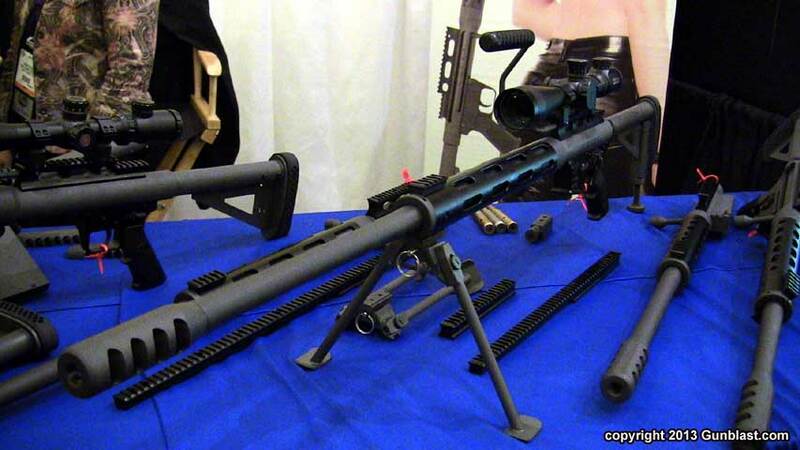 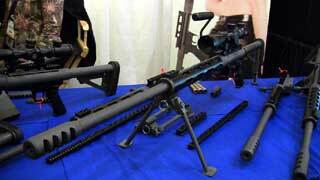 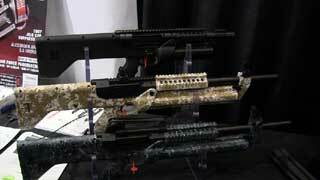 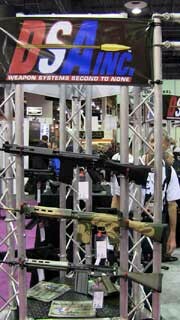 Nemesis Arms multi-caliber takedown rifles. 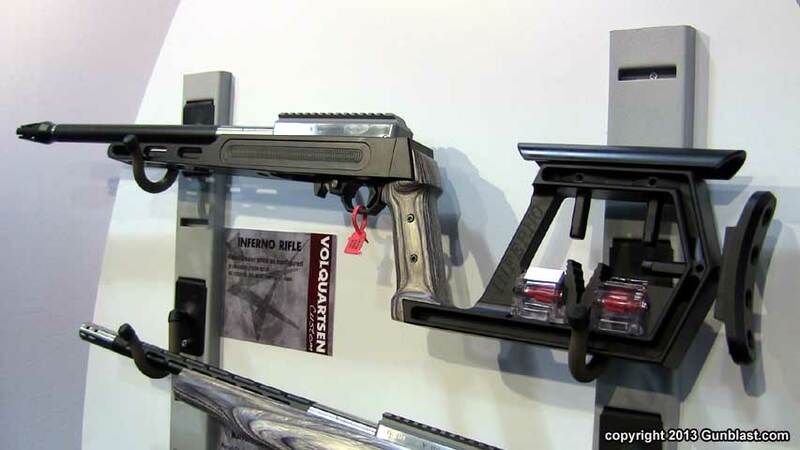 Stag Arms Model 8T piston rifle. 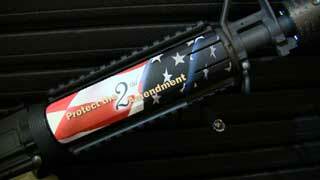 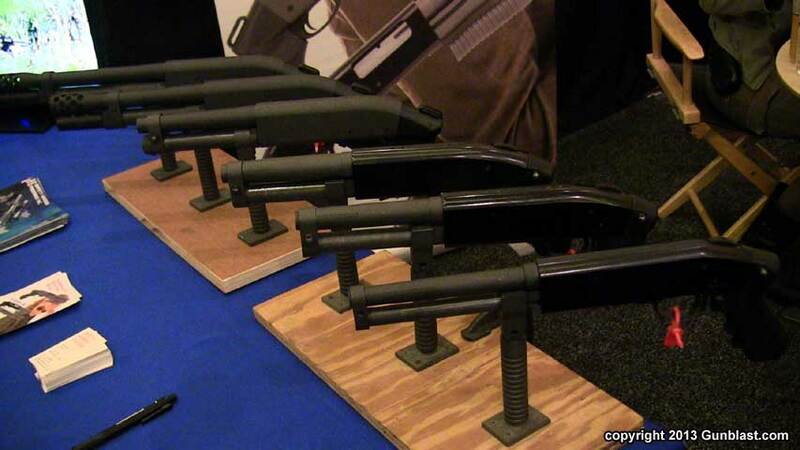 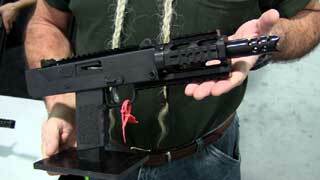 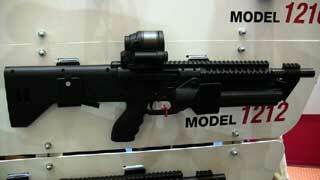 Safety Harbor Firearms' short-barreled shotguns. 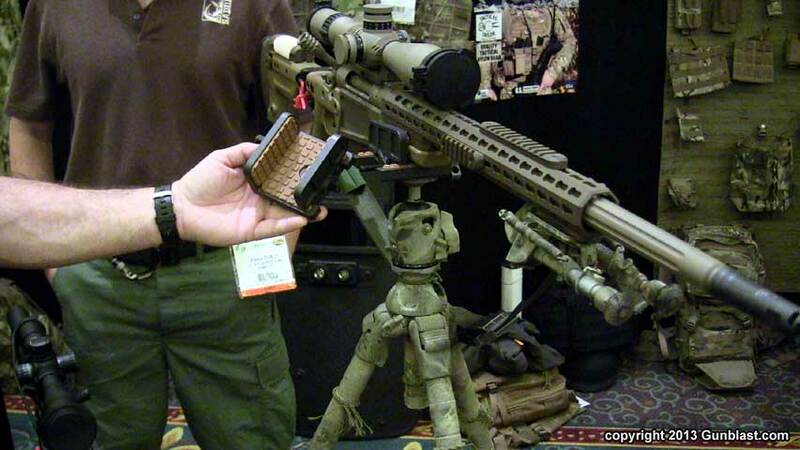 U.S. Tactical Supply tripod gun mount. 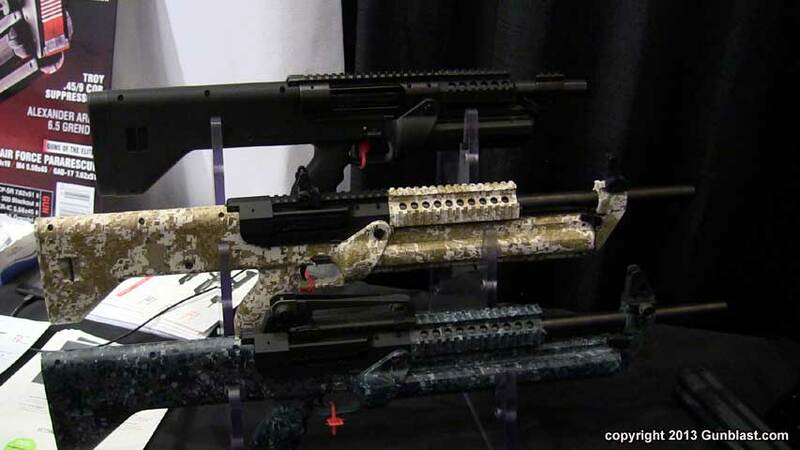 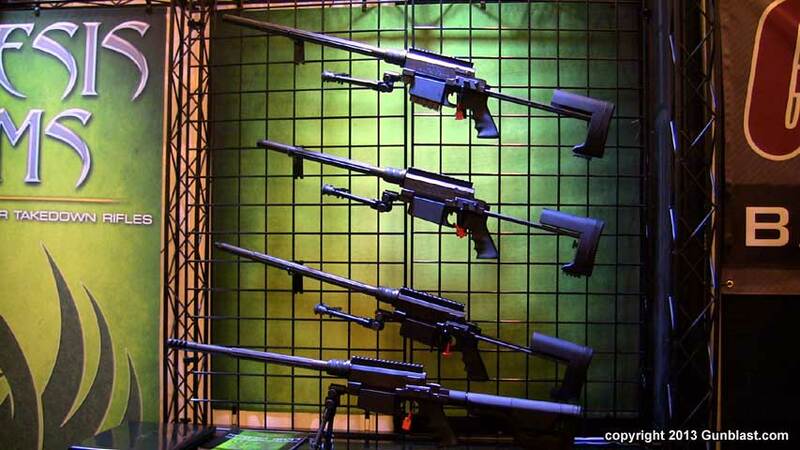 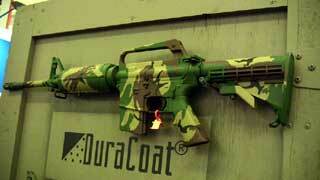 Desert Tactical Arms "Covert" series. 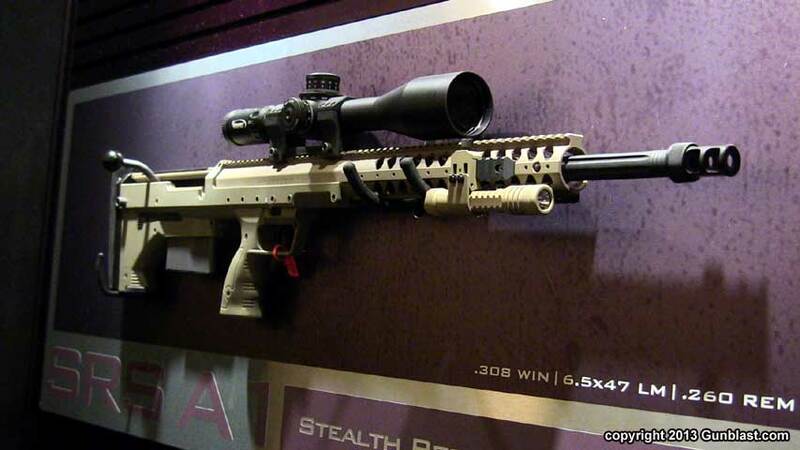 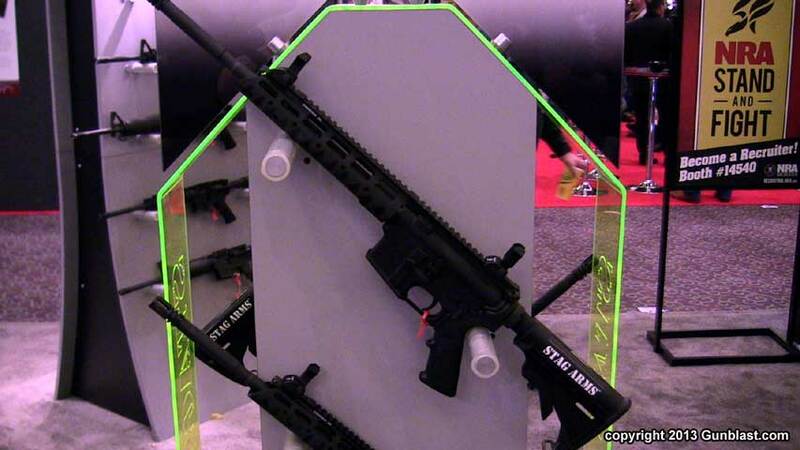 Desert Tactical Arms SRS-A1 (Stealth Recon Scout A1) rifle. 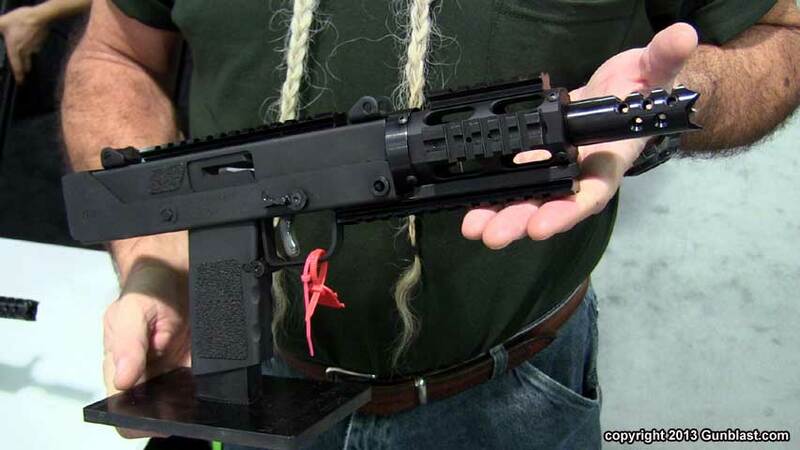 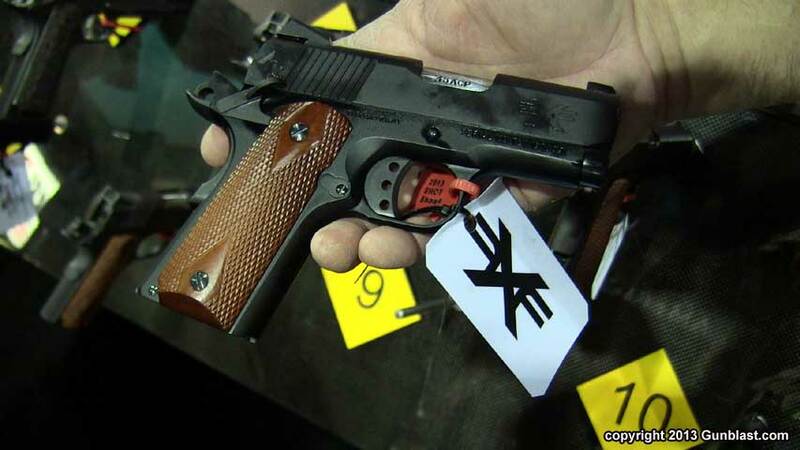 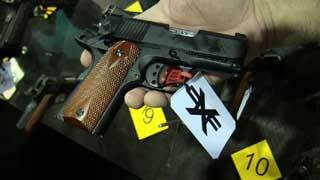 ATI Titan lightweight 45 pistol. 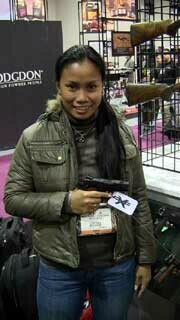 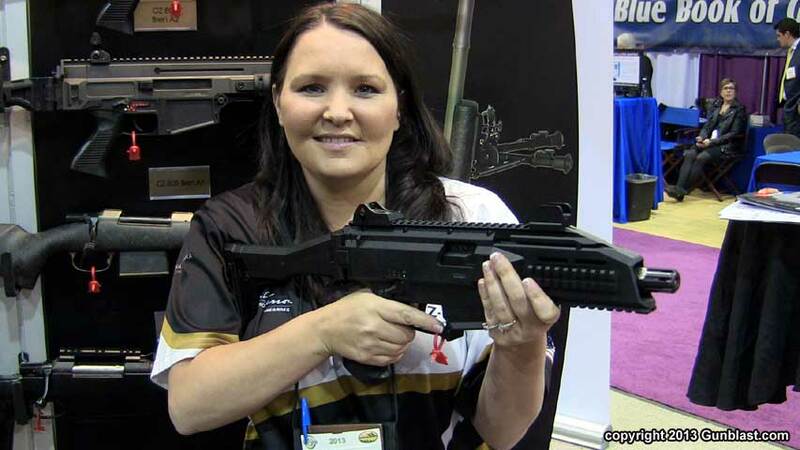 Joy Leonard with ATI's Titan lightweight 45. 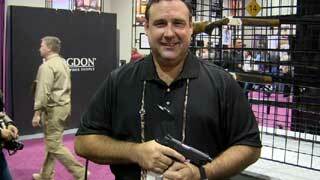 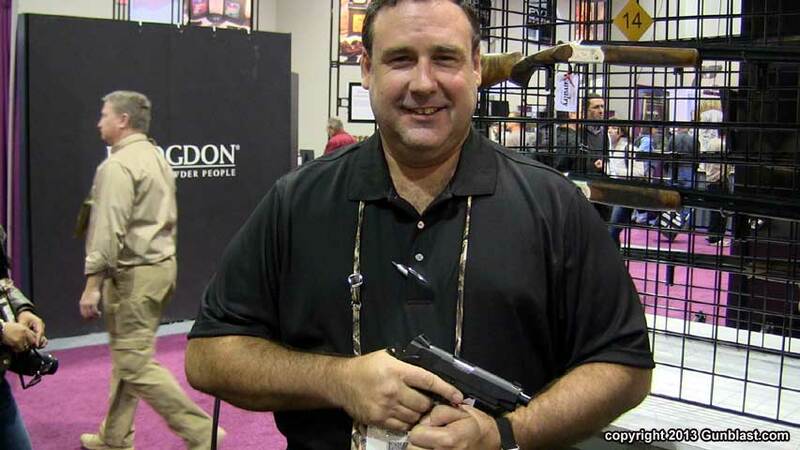 David Leonard with ATI's FX-45K pistol. 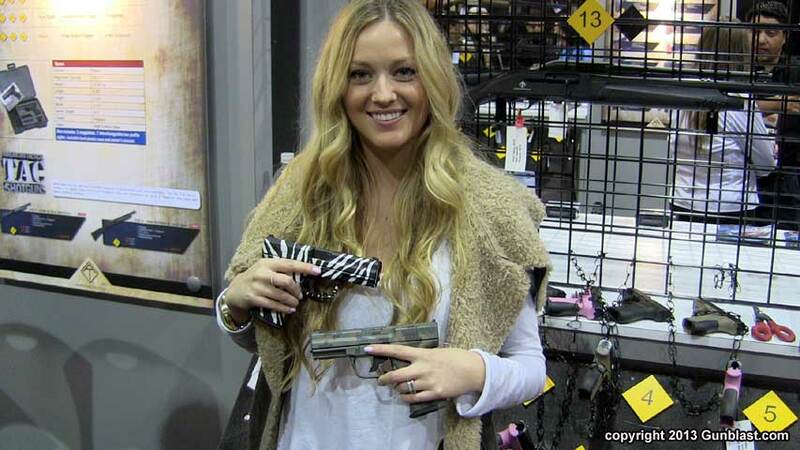 Paige Wolfe with FMK Firearms. 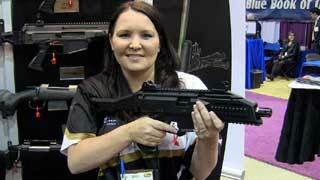 Sherri with CZ's Scorpion EVO3 A1.